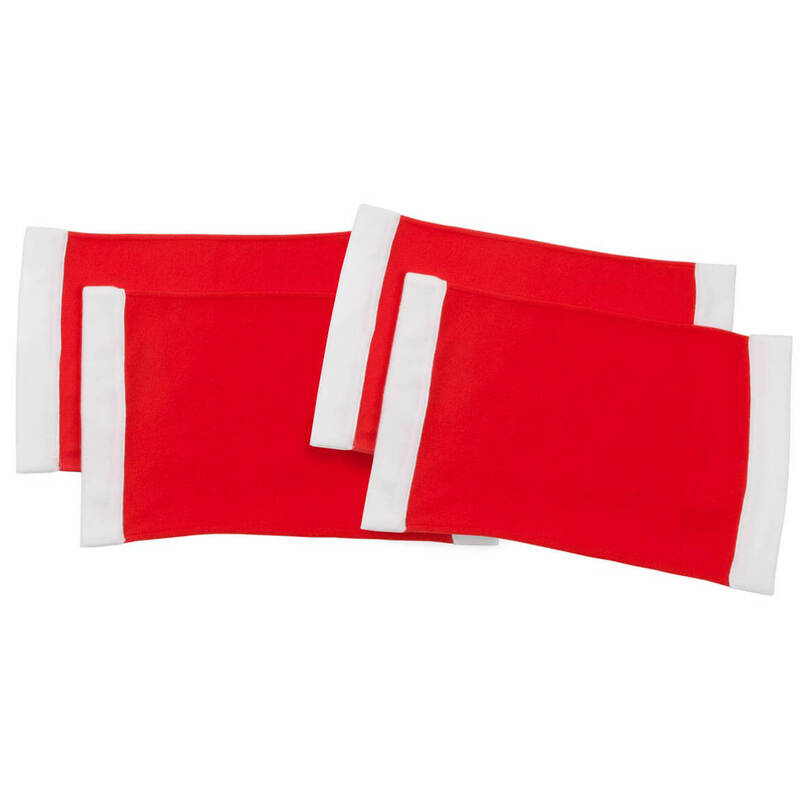 Featuring a heavy-duty quilted vinyl surface with thick polyester flannel backing, this cut-to-fit table protector pad shields your table from spills, scratches, stains and hot dishes. The insulated PEVA vinyl top layer ensures ultra durability and protection, while the soft fiber backing provides a stable, non-slip base to keep the table pad securely in place without scratching table. Available in 4 sizes, the versatile table pad cover can be trimmed to custom fit tabletop, or works hanging over table edges for complete protection. 100% vinyl/100% polyester; wipe clean. Specify size. Imported. Stylish and smart—this Tiles PEVA vinyl table cover’s striking pattern is printed on 100% PEVA vinyl, assuring spill-proof durability and easy cleanup. Great for parties, picnics or everyday dining, the eco-friendly PEVA tablecover is PVC/chlorine free, but still offers the easy-care benefits of traditional vinyl. Perfect for indoor or outdoor use, it features a soft, lightweight feel and smooth drape with 100% polyester flannel backing to protect tabletop surfaces. Resisting spills and stains for many meals to come, this vinyl tablecover cleans up easily with the quick wipe of a damp cloth or sponge. Specify size. Imported. 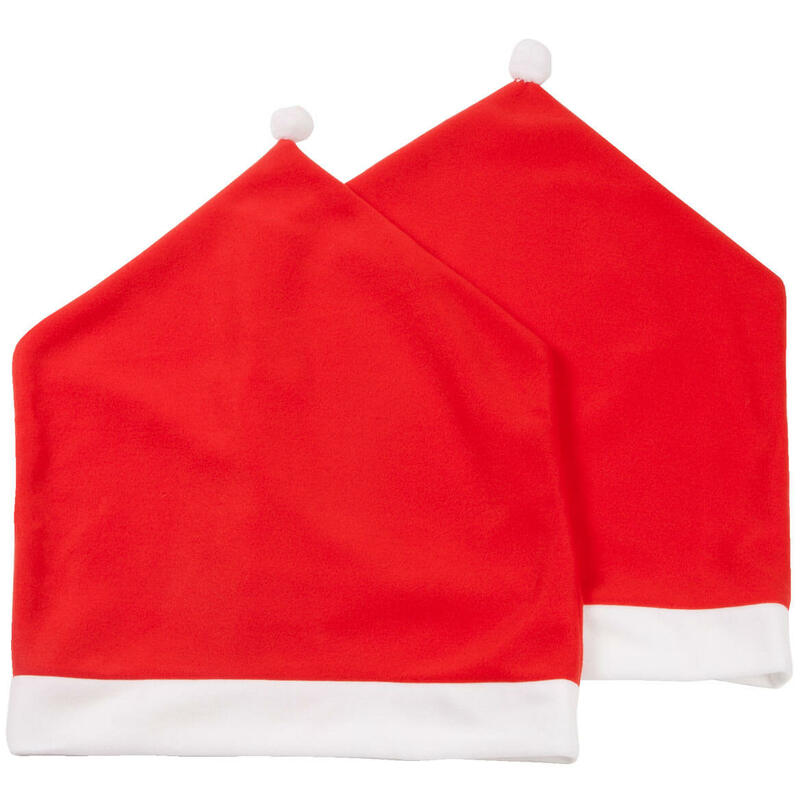 Deck your chairs in something jolly … Santa chair backs in bright red and white! Each soft fabric dining chair cover slips over the top of your chair like a merry stocking cap, adding fun, festive style for the season. 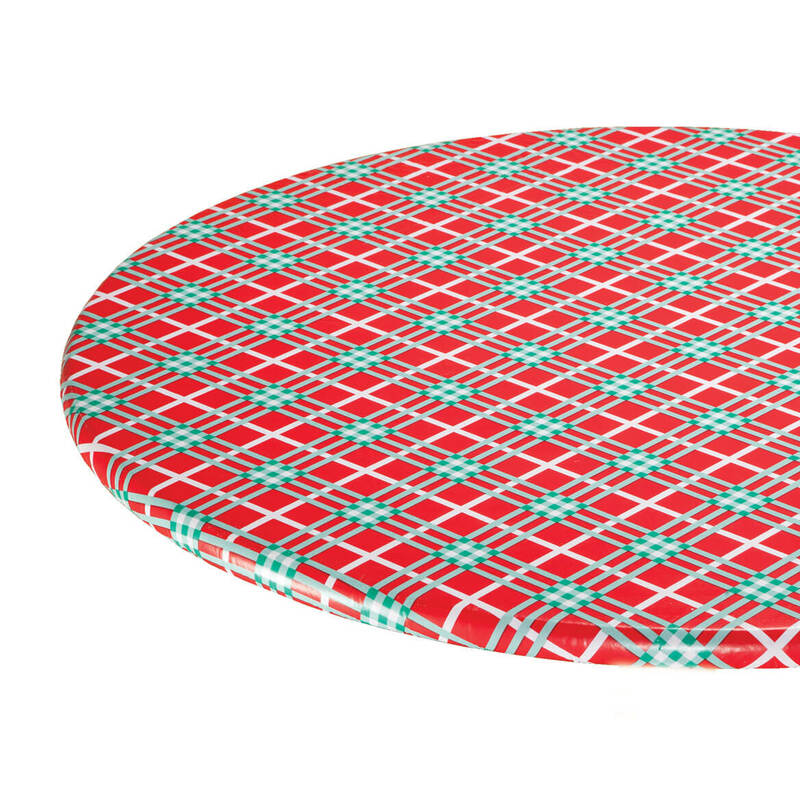 Designed to fit most chairs up to 46″ in circumference, they’re perfect with our matching Santa tablecloth, table runner and placemats (sold separately). 100% polyester; machine wash cold. Set of 2 chair slipcovers. Each, 20″ long x 24″ wide. Imported. Making the holidays bright and easy for many years to come, these durable Winter Plaid vinyl elasticized table covers resist stains, spills and splatters—simply wipe clean and enjoy! 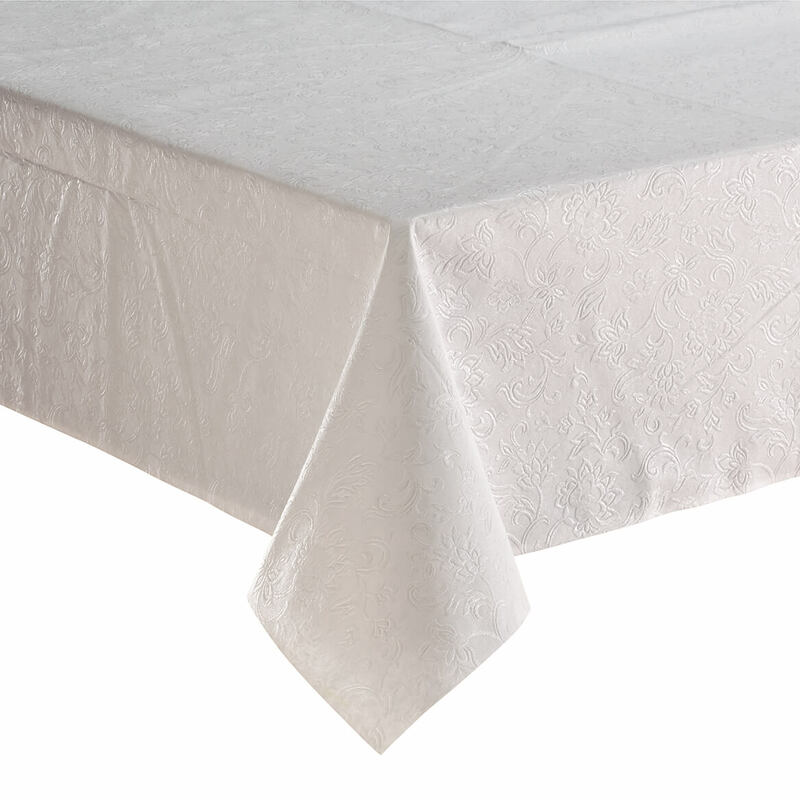 The fitted table cover’s elasticized edges provide secure, custom fit; flannel-backing protects table surfaces. Specify size. Imported. 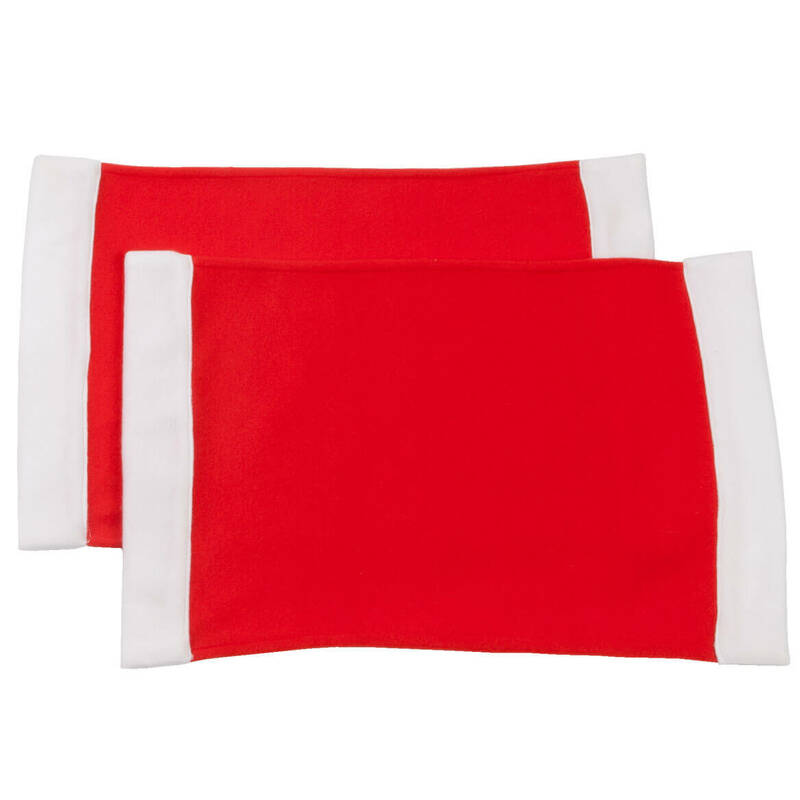 Setting the tone for holiday fun, these red fabric Santa placemats are trimmed in white like Santa’s merry suit. Completing the look of your festive table, they’re perfect alone or paired with our matching Santa tablecloth, table runner and chair backs (sold separately). 100% polyester; machine wash cold. Set of 2 Christmas placemats. Each, 13″ long x 18″ wide. Imported. Hard-to-find wood grain elasticized tablecovers from Miles Kimball boast the warm look of natural wood in fleece-backed, wipe-clean vinyl. Elasticized table cover edges offer perfect fit. Square fits tables up to 36″x36″. Small oblong fits tables 48″x24″. Medium oblong fits tables 60″x30″. Large oblong fits tables 72″x30″. Imported. 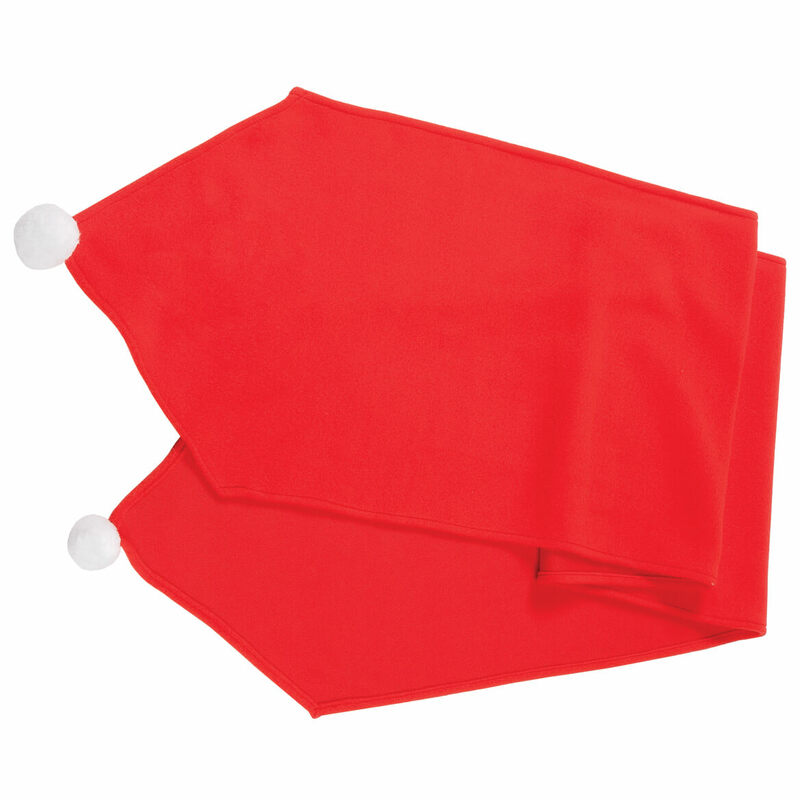 Setting the tone for holiday fun, these red fabric Santa placemats are trimmed in white like Santa’s merry suit. Completing the look of your festive table, they’re perfect alone or paired with our matching Santa tablecloth, table runner and chair backs (sold separately). 100% polyester; machine wash cold. Set of 4 Christmas placemats. Each, 13″ long x 18″ wide. Imported. Wood grain fitted table cover boasts the rich look of natural wood. These handsome table covers lend warm style to any setting—offering the carefree ease of classic vinyl. Featuring stay-put elasticized edges for a smooth, flawless fit, each flannel-backed table cover simply wipes clean. Imported. Small round fits tables 40″-44″dia. Large round fits tables 45″-56″dia. 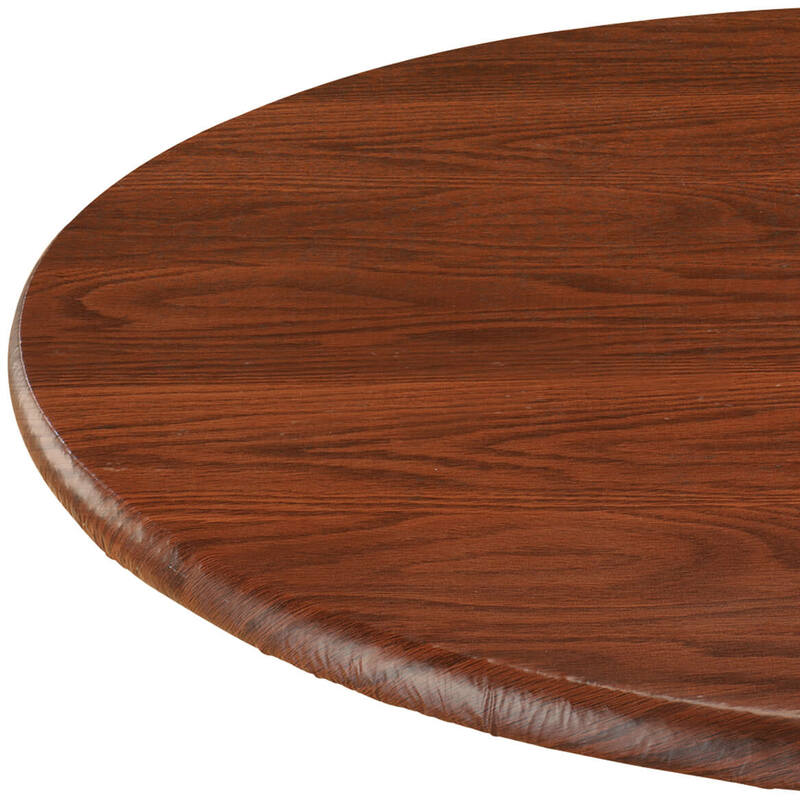 Oval fits tables 42″x68″. Lending extra cheer to your holiday table, our festive Santa table runner is red like Santa’s suit … complete with a white pom-pom on each end! A merry match for our Santa tablecloth, placemats and chair backs (sold separately), it’s the perfect finish for your well-dressed table. 100% polyester; machine wash cold. Red table runner measures 13″ long x 72″ wide. Imported. Woven lattice elasticized table cover gives your table the fresh look of texture, designed in a soft, soothing color palette. 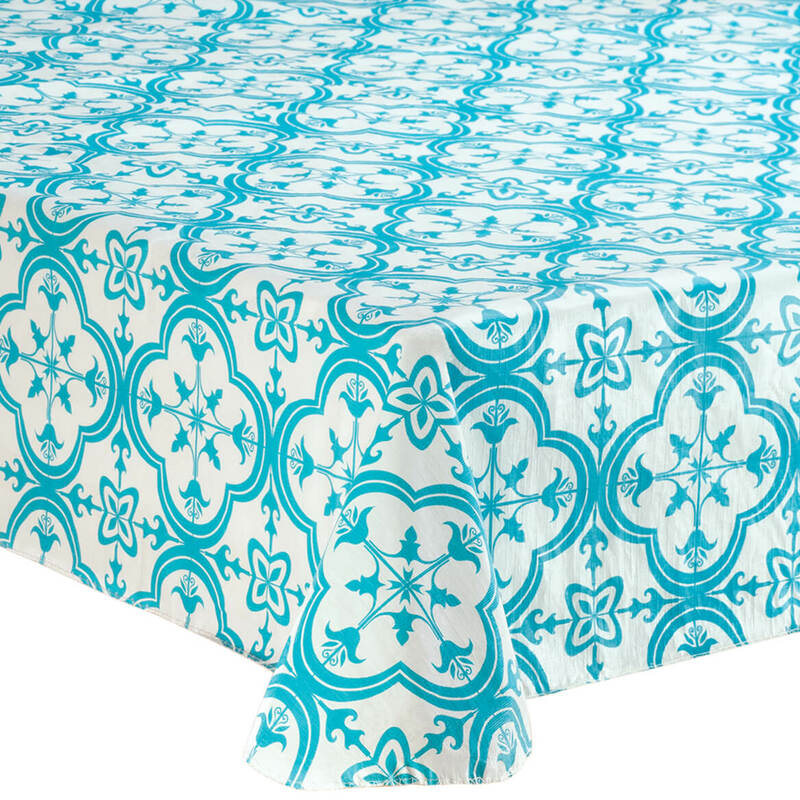 Elastic vinyl table cover fits snuggly, without slipping or wrinkling. In wipe-off vinyl with fleece backing. 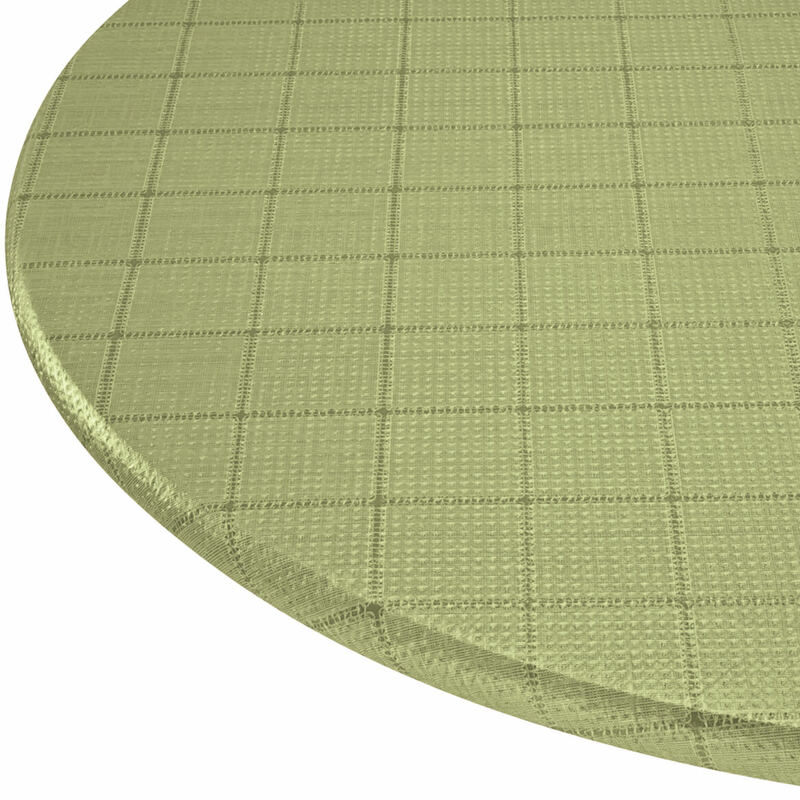 Small round elastic table cover fits table diameters of 40″ to 44″. Large round fits table diameters 45″ to 56″. 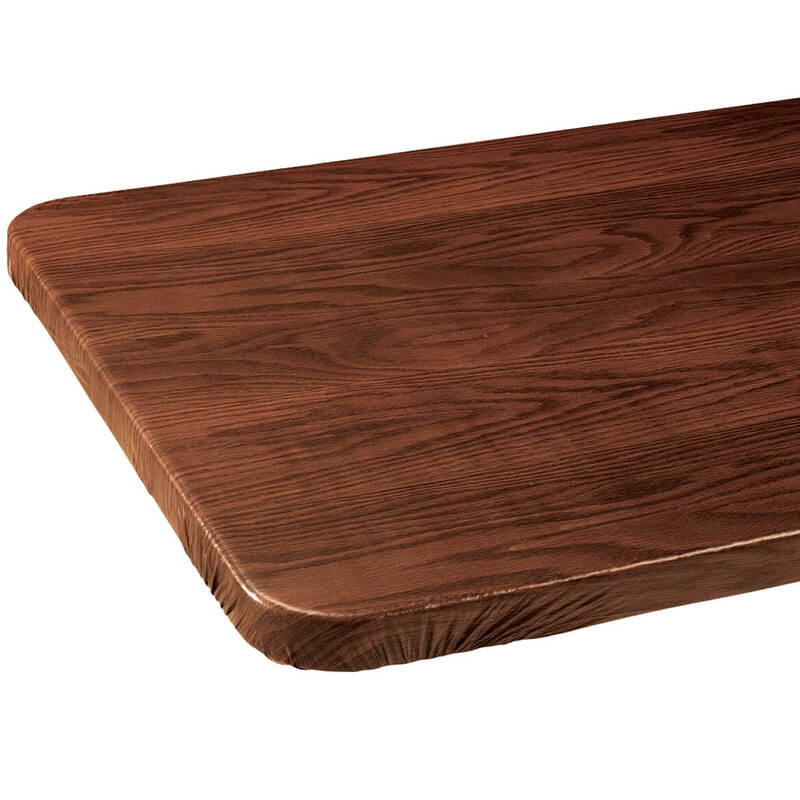 Oval fits tables up to 42″ x 68″. Imported.